Watch New York’s reflection dance in the water as it twinkles like the stars far above. The 2 hour Harbor Lights Cruise is a very special and romantic experience which guarantees a lot of breathtaking moments and an unforgettable experience. This harbor cruise at night is definitely something you don’t want to pass up on. 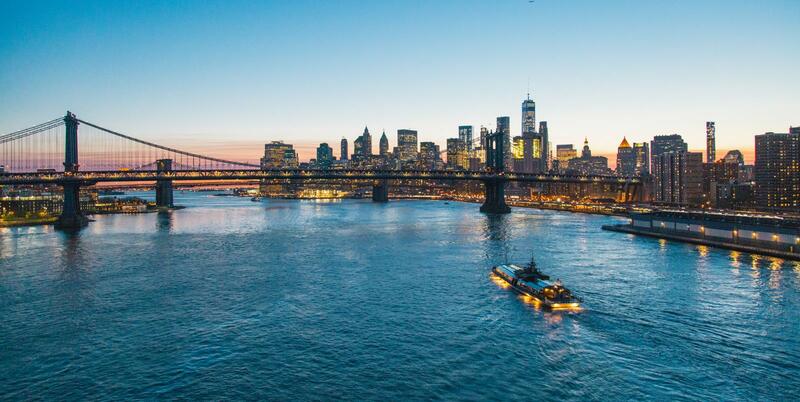 The Harbor Lights Cruise is a great tour to catch a glimpse of Manhattan during sunset. Watch the sun go down and enjoy the reflection of the city sparkling across the water. Sip on your favorite (and reasonably priced) cocktail and learn about the famous attractions of the city. With the amazing view in front of you, it truly makes this into a very special evening. You will have an unobstructed view of lower Manhattan, including the One World Trade Center, the famous Brooklyn Bridge and the Statue of Liberty. New York’s landmarks are especially memorable when lit up at night. This tour ensures that you won’t miss any of them. The Harbor Lights Cruise starts at 7 PM and is available throughout February – November. The adventure package (includes a 30-minute kayak rental and 1-hour bike rental) is available between June – September only. Where Does the Harbor Lights Tour Start? 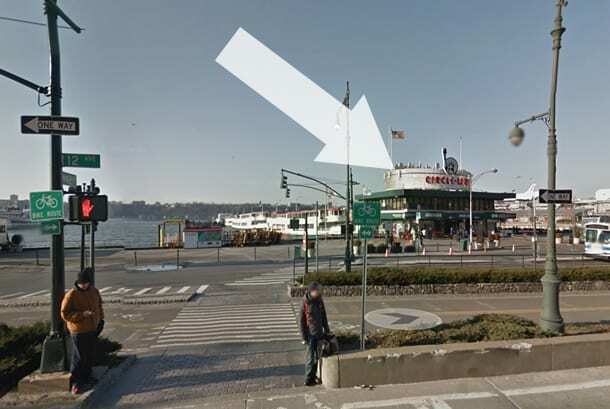 Departures & arrivals are at Pier 83 (41st Street) and is walking distance from Times Square. You can reserve seats online to avoid queueing at the pier while getting them for a much better price!